Little Dorothy Gale of Kansas, like so many girls her age, often dreams of what may lie over the rainbow. One day a tornado hits her home town and carries her away to Munchkinland – at the end of the rainbow. The Munchkins fete Dorothy as a heroine. Dorothy wants to go home to Kansas and seeks the help of the kind Sorceress of the North. Only the great Wizard of Oz, says the Sorceress, can help Dorothy get back to Kansas. The Wicked Witch of the West vows vengeance on Dorothy and does all she can to stop the friends getting to the Emerald City. But they do reach it, and manage to see the Wizard. He will only help them, he says, if they kill the Wicked Witch of the West, an apparently impossible task. 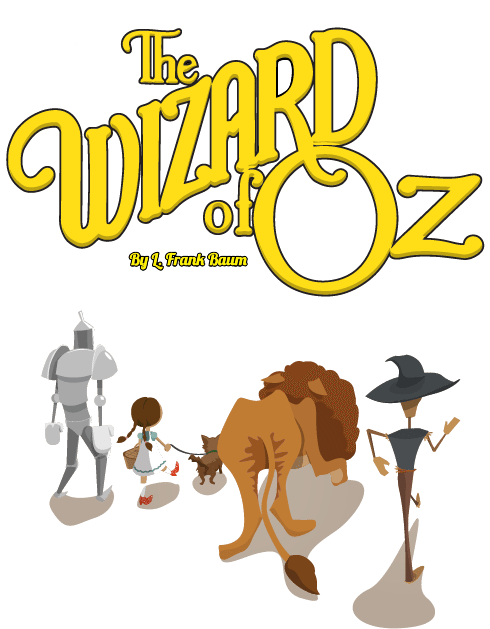 They do succeed, they get all their wishes and the Wizard accompanies Dorothy to Kansas.